There is something about the voice which is effective in communicating status. Lowering the pitch of your voice in the first few seconds of an interaction can help you influence others, new research finds. Those who lowered their voice were also seen as more prestigious and admirable by their peers in the study. 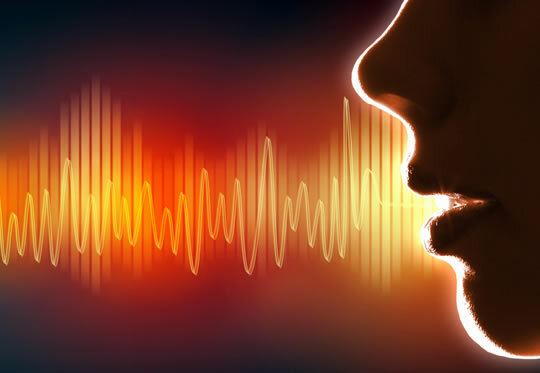 “What excites me about this research is that we now know a little bit more about how humans use their voices to signal status. In the past, we focused a lot on posture and tended to neglect things like the voice. For the research a group of people were observed while they carried out a group task. “In fact, what we’ve found previously is that both of these strategies – prestige and dominance – positively correlate with behavioral influence. Both are effective pathways to getting there. But only dominance is about fear and intimidation, and only dominance is related in this study to changes in the pitch of one’s voice. A second experiment had people listening to audio recordings only. “They don’t get to see anything or anyone, and they just make judgments about the person in the recordings. And we found that when the voice in the recording goes down in pitch, people judge the person as wanting to be more influential, more powerful, more intimidating or more domineering. But they don’t think the person is interested in gaining more respect. What’s really fascinating about status is that regardless of which groups you look at and what culture and in what context, what inevitably happens is that people divide themselves into leaders and followers, and there’s a hierarchy that’s involved. The study was published in the Journal of Experimental Psychology: General (Cheng et al., 2016).